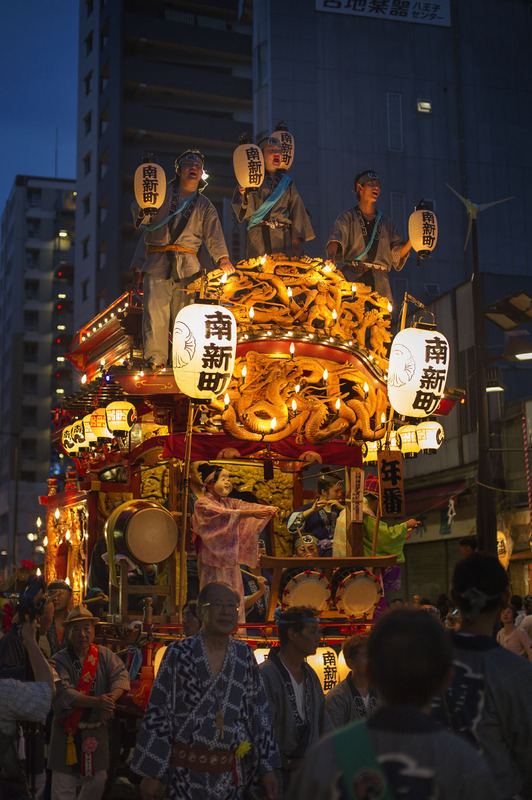 A few weeks ago I visited the city of Mishima in eastern Shizuoka Prefecture to the west of Tokyo just to enjoy their big summer festival. 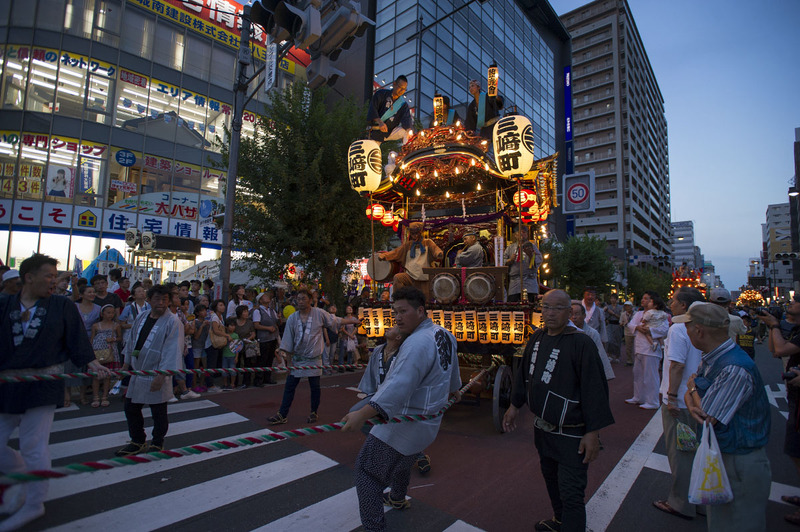 It was a three day event full of performances and culture but this time I could only take part in the first two days of events. 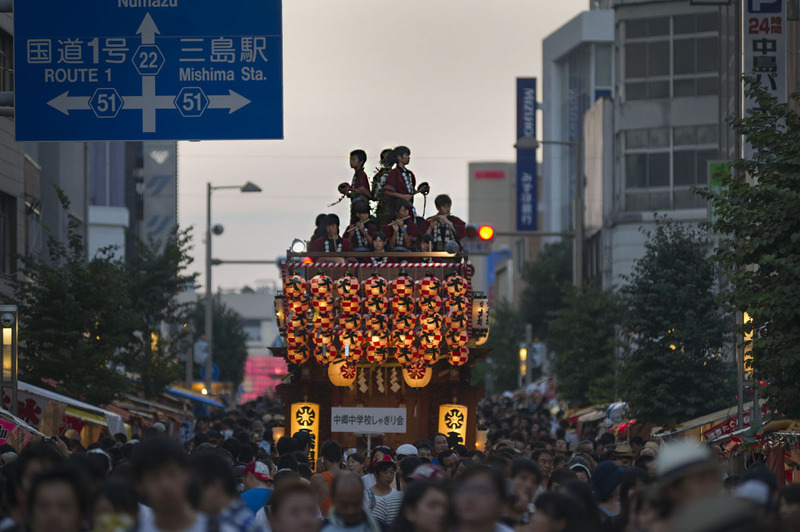 This festival too has as one of its main features the giant dash, huge festival platforms pulled about by towns people. 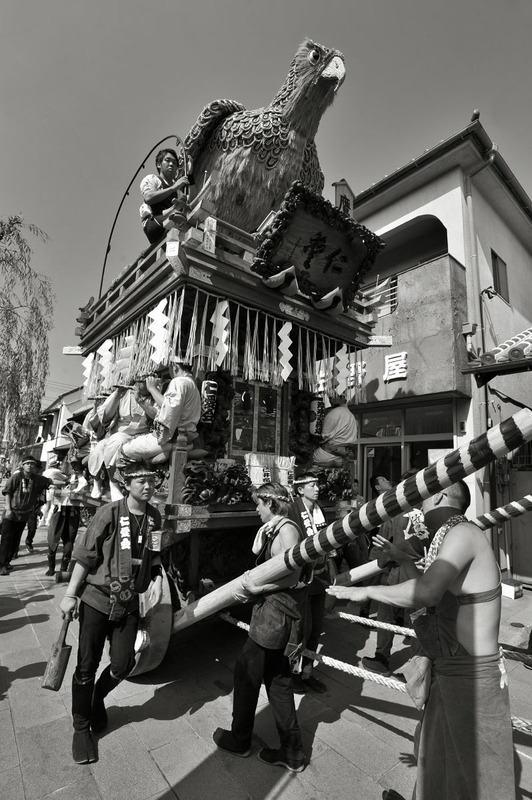 In Mishima City most of the townspeople seems to take turns being on top of the floats, with lots of flutes and drums to try and outperform each other! 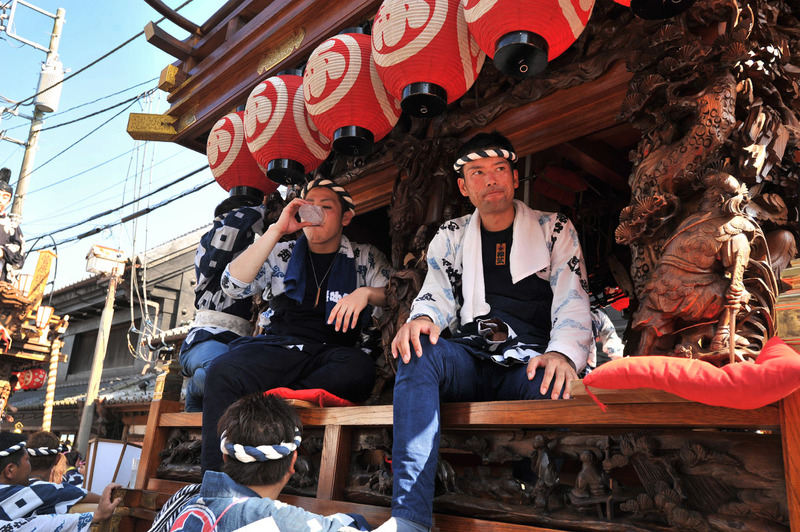 It is great fun to watch and enthusiasm and energy is really heart warming. 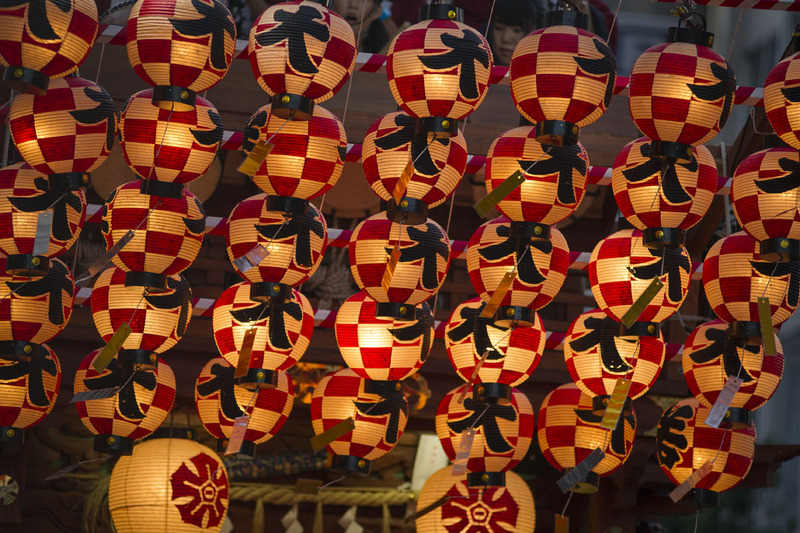 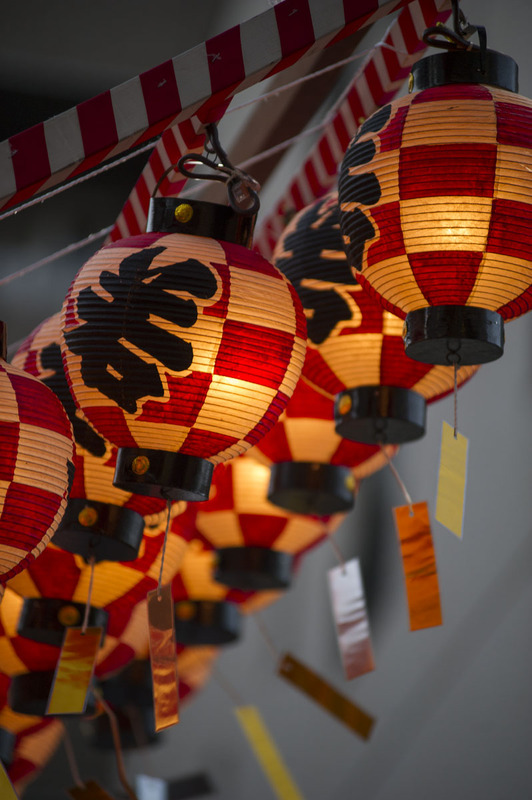 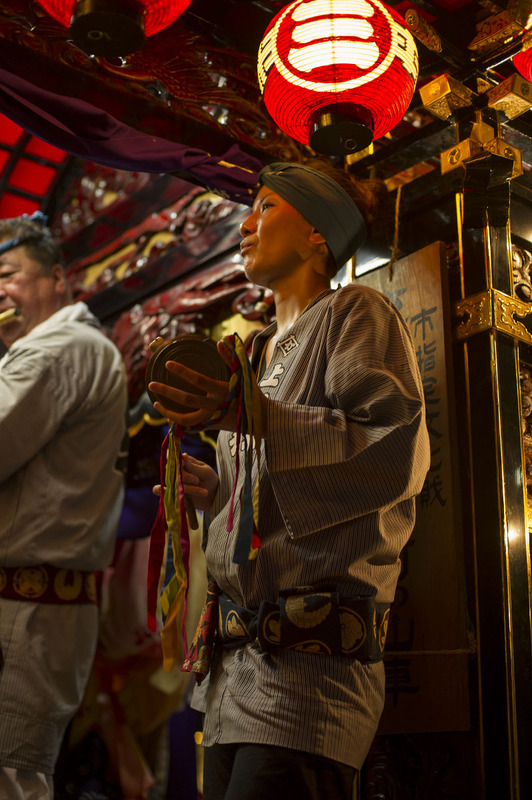 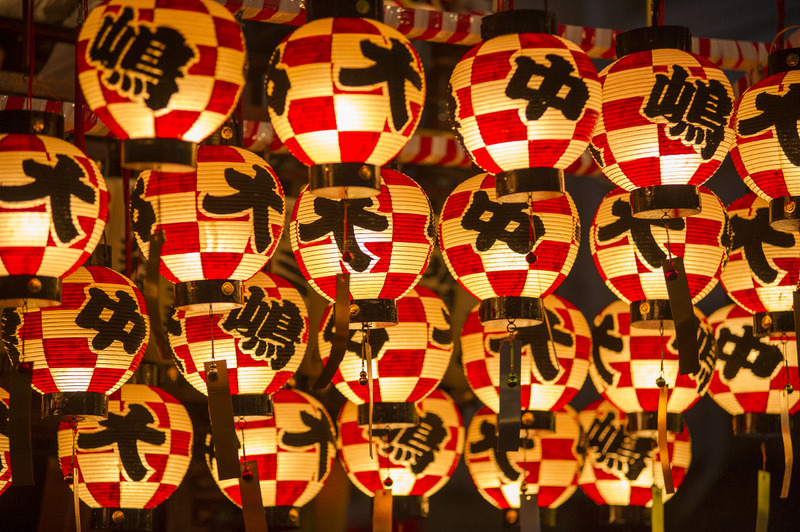 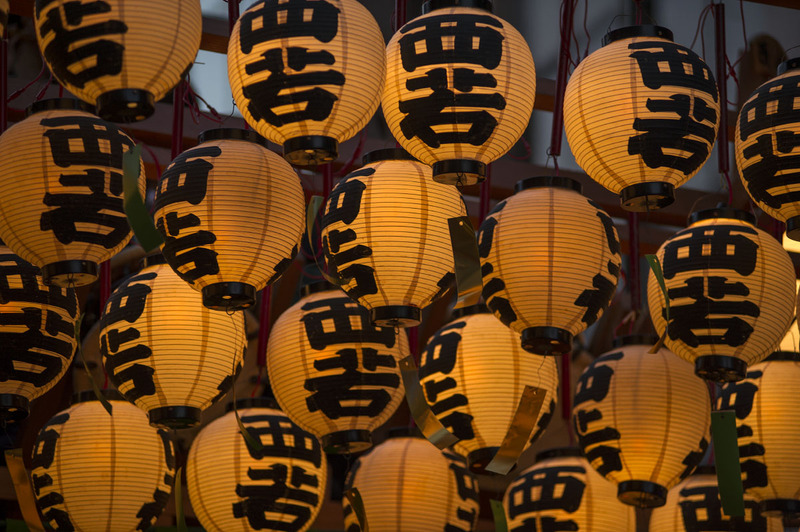 The dashi are also unusually decorated with masses of lanterns hanging up front, making it a bright and colorful festival. 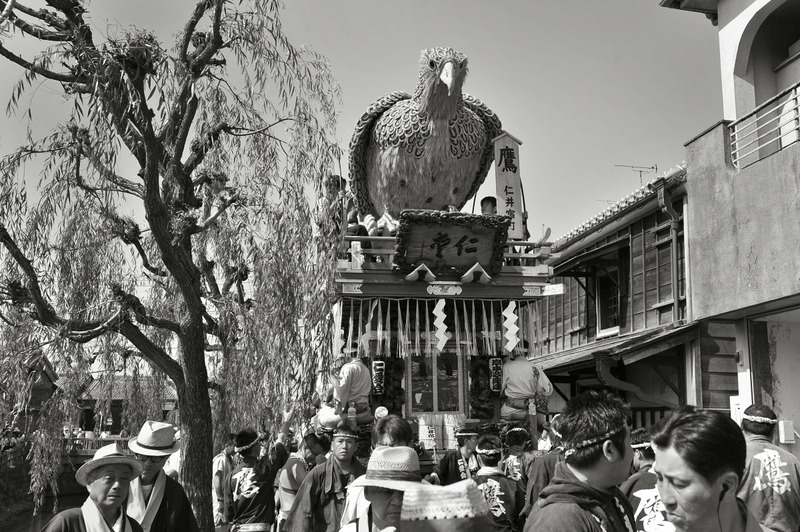 If you are in the area or feel like getting out of Tokyo for a couple of days I can really recommend Mishima, with maybe a day tour to Numazu City nearby or even as far as Kakegawa City or Atami City. 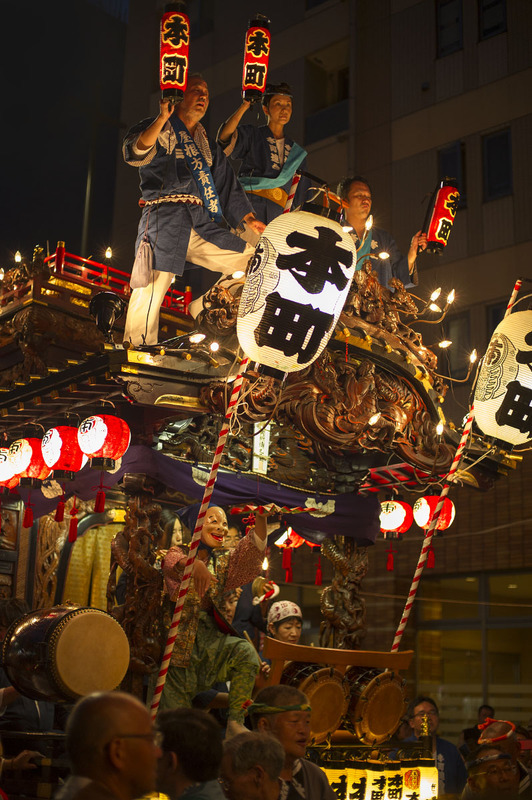 They are good even when there are no festivals! 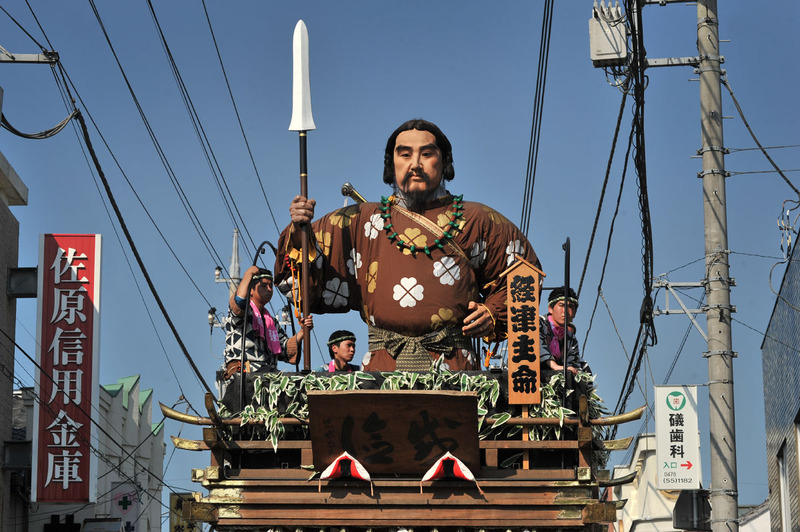 The festival floats at the annual summer festival in Sawara City in northern Chiba is something special, famous for their huge top decorations, some lifelike images of Gods and heroes, others are more stylistic (and moving!) 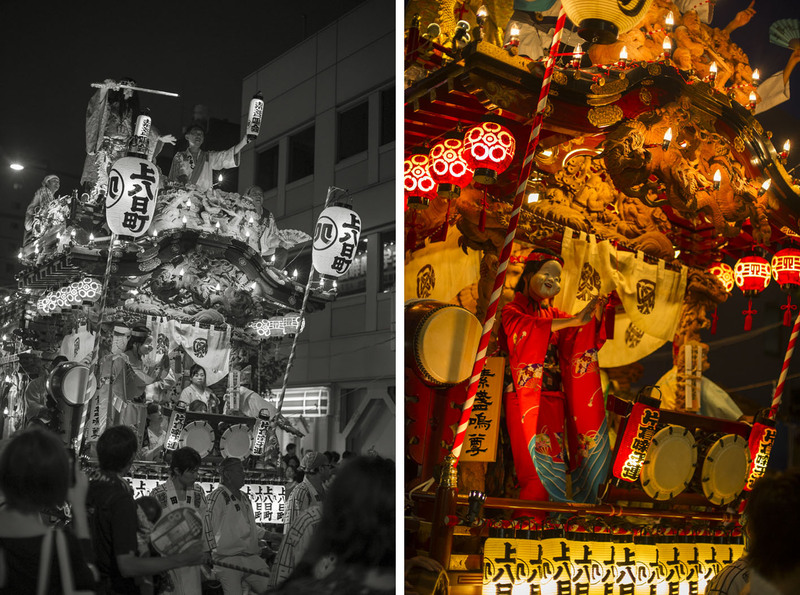 representations of animals and spirits. 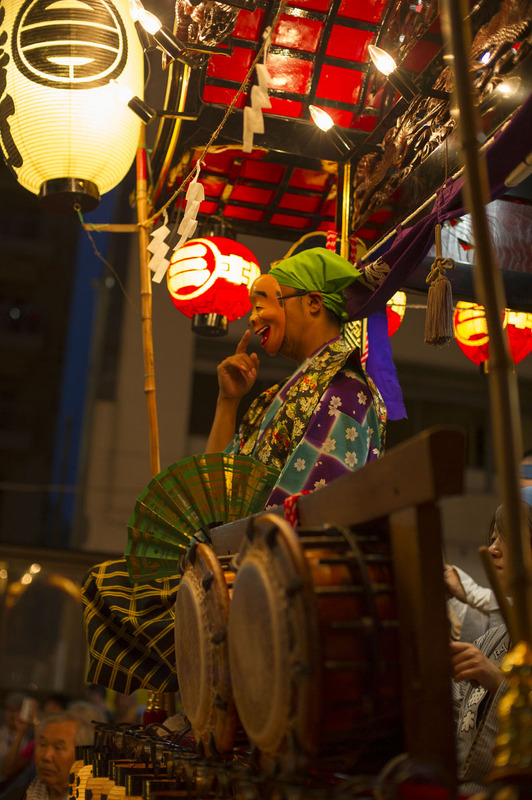 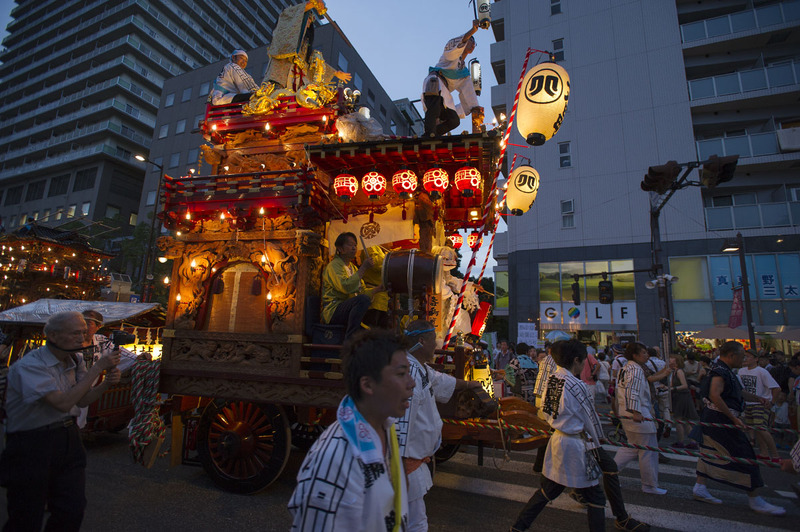 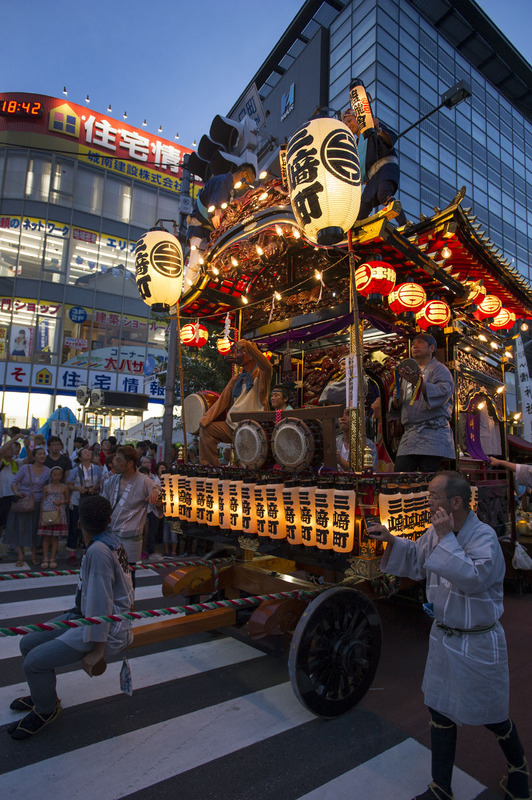 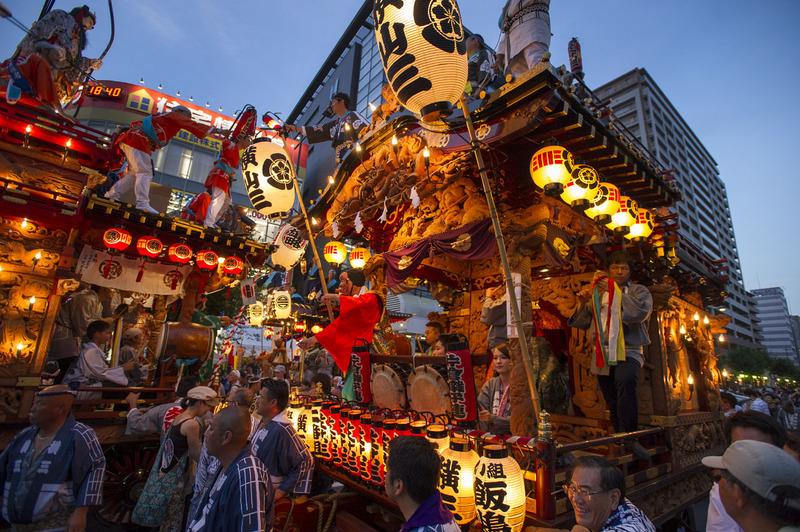 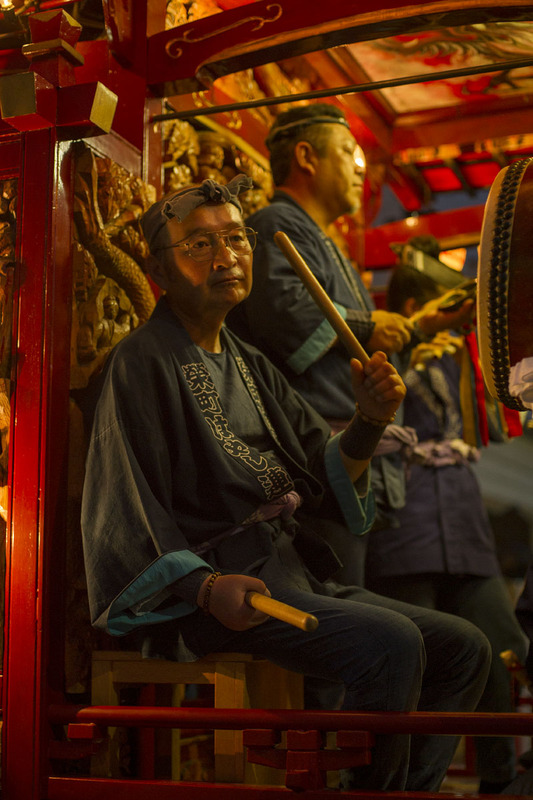 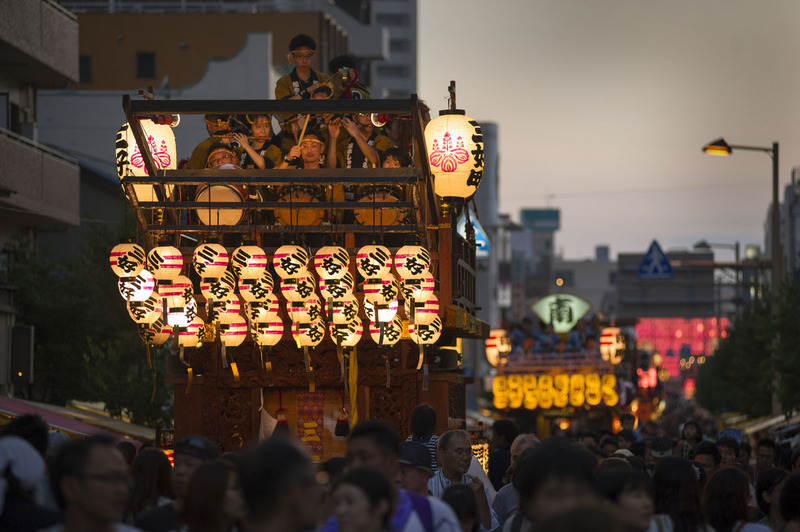 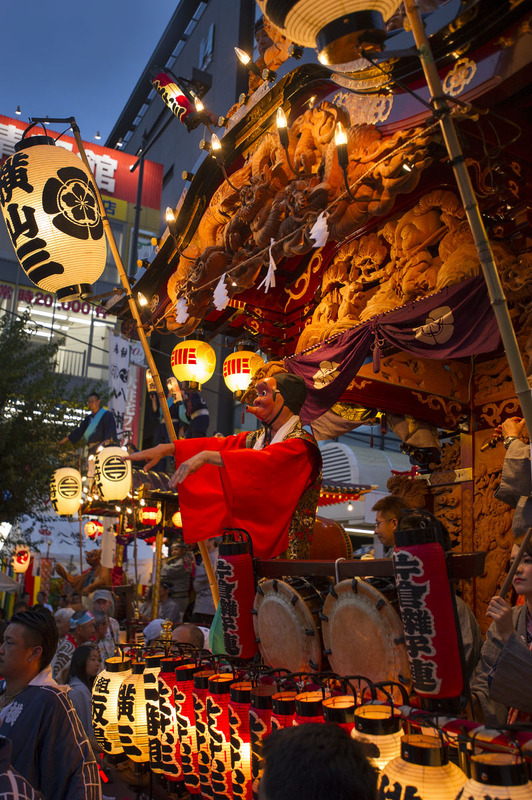 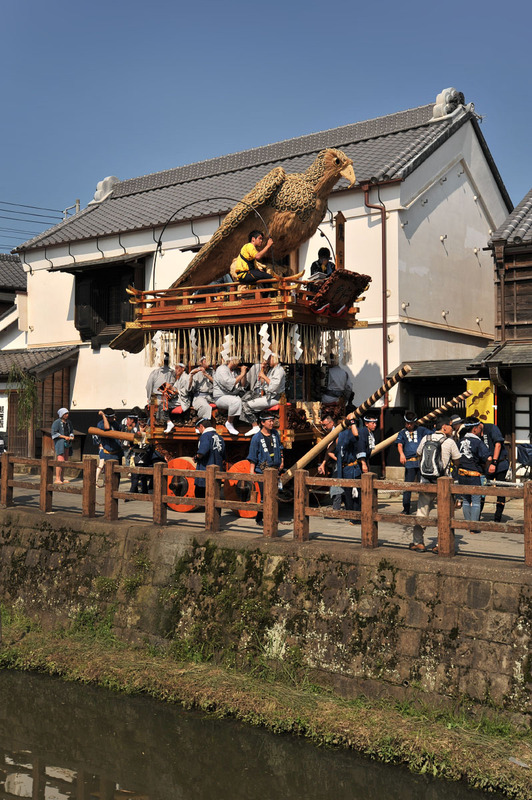 There are two major festivals in Sawara City, both drawing thousands of tourists and participants. 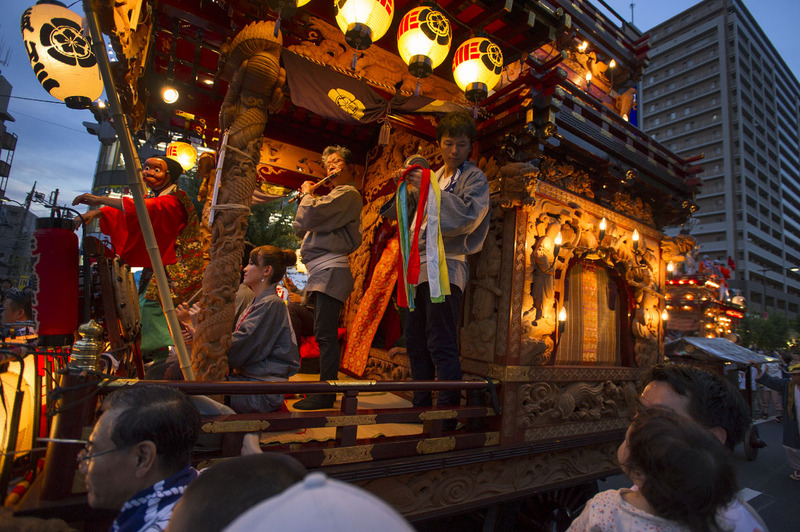 Each of the two festivals are sponsored by one of the two shrines separated by the Onogawa River. 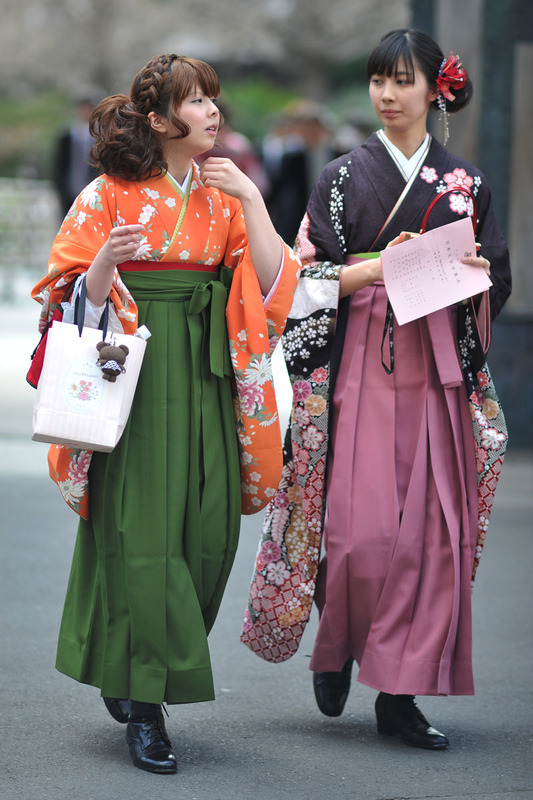 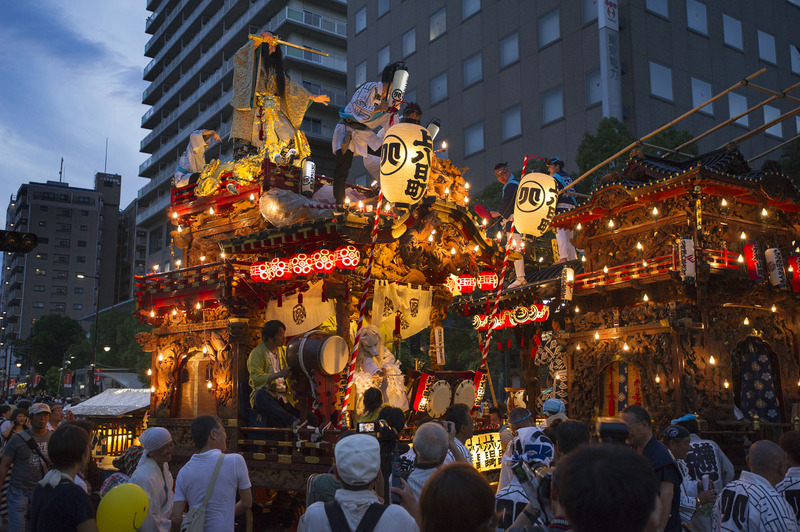 The summer festival is traditionally under the domain of the eastern Yasaka Shrine, in the Honjuku part of town. 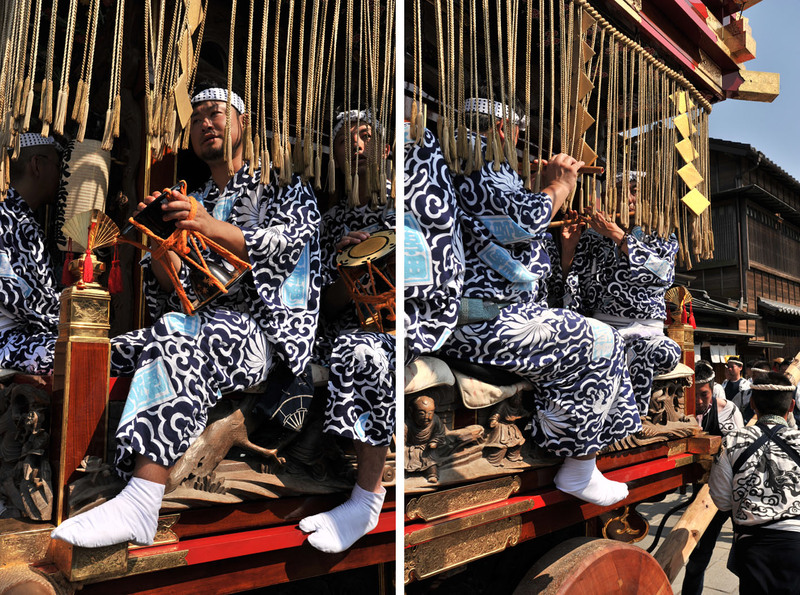 Note the solid wooden wheels of the wagons, or dashi, as they are called, and the painted poles used to maneuver them. 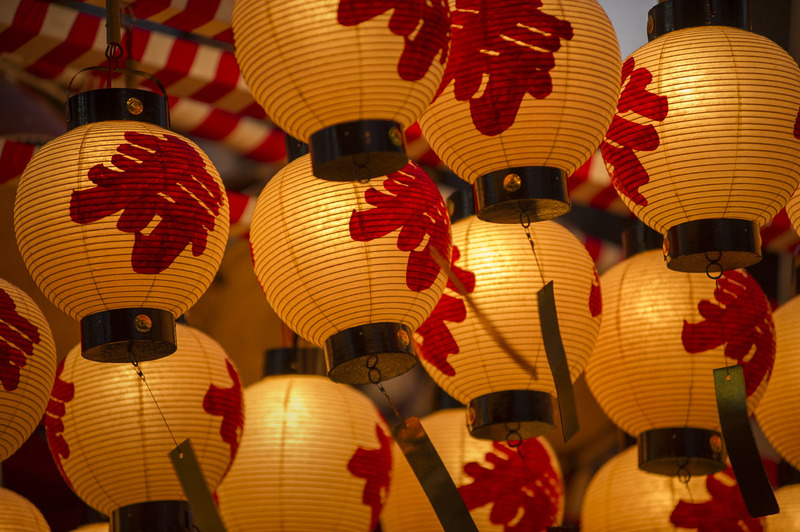 The pole in the close up looks almost unused, which you can tell from the fact that the end looks flat and neat. 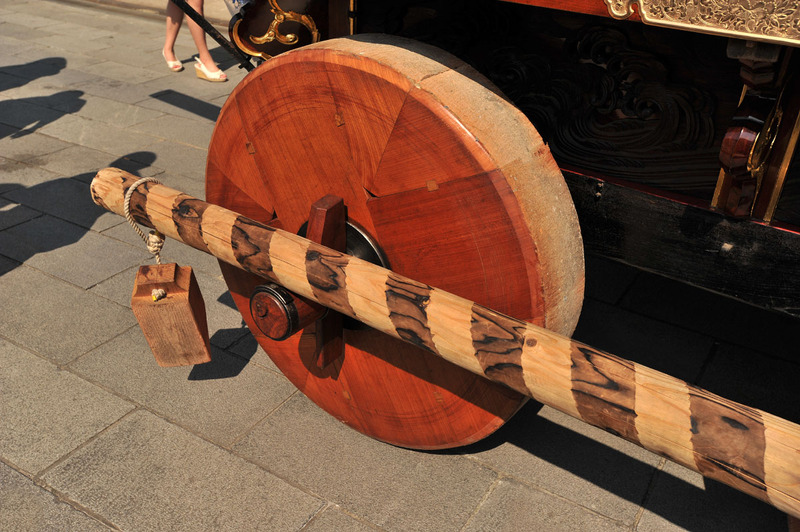 When the wagons have been maneuvered around the narrow streets and bridges of the town the poles look more like massive and badly sharpened pencils and there are splinters all over town! 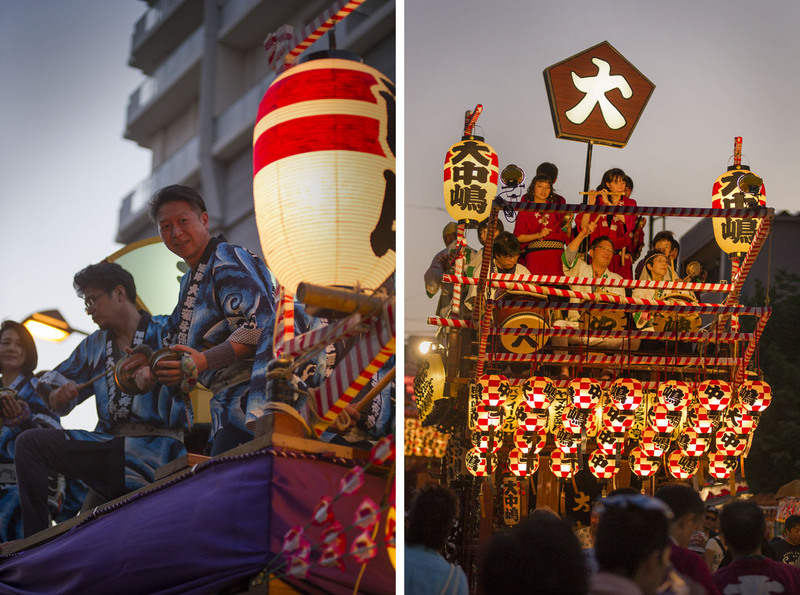 More photos of this fantastic festival to come!